Invisible screen doors are the perfect solution for showing off your beautiful doors and enjoying your spectacular views. The Clear View Retractable Screen Doors are the only retractable screen door that doesn’t slam, and are custom measured and built specifically for your doors. There are 11 colors to choose from plus custom colors to match any décor. 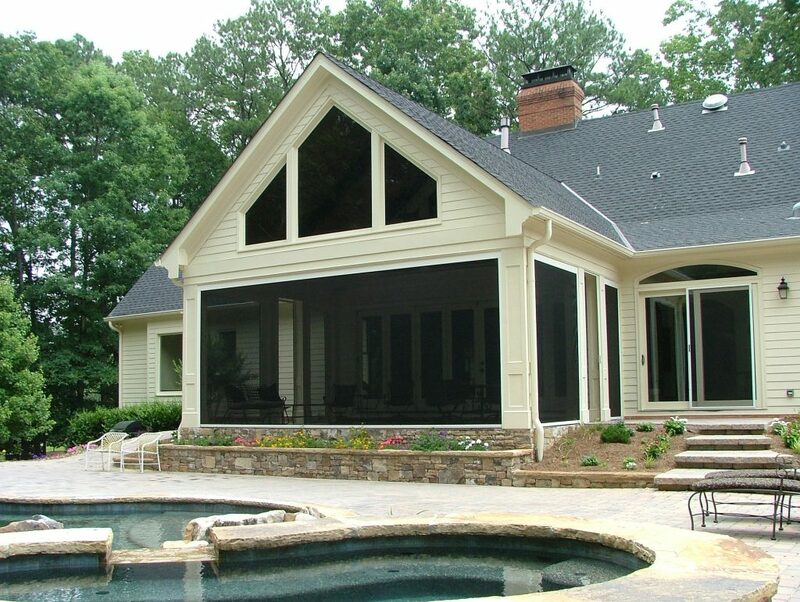 Retractable screens are easy maintenance, disappear when not being used and never need to be replaced. They are the perfect solution for beautiful doors and spectacular views. We have screens for single, double or French doors. In fact, we can screen an entire fold-away wall. NO floor track to accumulate dirt, or fill with debris. When screening a folding door or wall, we install power screens above the opening so the entire opening is screened at the touch of a button. NO floor track to stumble over. How many times have you caught your toe on that clumsy floor track? Not anymore. NO tugging or pulling to open the screen. Conservatory Craftsmen invisible screens are manufactured with precision. Our invisible screens deploy and retract themselves smoothly and quietly with just a touch to your remote control. NO bent frames or torn screens. NO storage needed. Winter comes and the bird feeders go up right outside the patio door. Do you want to look at the birds through the door screen? I think not. With other screens, you have to find a place to store the screen until summer. What a hassle. Invisible screens are always there but you can’t see them. NO limits on adaptability. Want a screened porch or garage? We can install that for you. Our automated screens will roll down into place, with the touch of a button! One touch, screens down. One touch, screens roll up again! Summer is here and out of the garage come the window screens. After looking through clear glass windows all winter, I bet you wish you didn’t have to look through those dirty old screens all summer long. There is an option for you. A roll away window screen that disappears when you are not using it! We believe that glass is designed to be seen through, not distorted by an insect screen. So, we use retractable screens in our doors and windows. 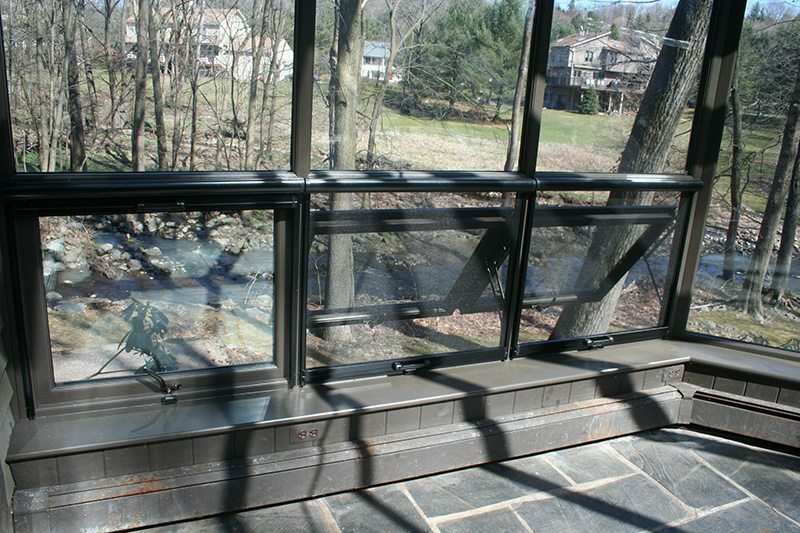 Not just any retractable screen, but a ClearView screen, made in America and the only screen with a built in brake system. Our window screens are used in commercial buildings and all of our conservatories. In the photo above you can see two windows that are open with the invisible screens deployed. To the left is a third window that is closed and has the screen retracted for perfectly clear views.